Her voice trembling and hoarse from crying, Patricia Campbell stood on her Medford porch Tuesday afternoon and tried in a few emotional phrases to make the world understand what was lost when the bomb explosions at the Boston Marathon killed her 29-year-old daughter, Krystle ­Marie Campbell. Then words failed and she paused, looking up from her notes. “This doesn’t make any sense,” she said. Krystle Campbell, who grew up in Medford and moved about a year ago to Arlington, was on Boylston Street near the Marathon finish line with her friend Karen on Monday, said Krystle’s grandmother, Lillian Campbell of Somerville. Krystle Campbell, shown in July 2012, would have turned 30 on May 3. She was known as a tireless worker and a loyal friend and relative. After the bombs detonated, Krystle and Karen were side by side on the ground when medical personnel arrived, and somewhere en route from the sidewalk to Massachusetts General Hospital, someone mixed up their names. For years Krystle Campbell had been a general manager and catering manager for the Jasper White Summer Shack restaurants, working mostly at the Hingham and Cambridge locations. She put in long hours, “70, 80 hours a week,” her grandmother said, and ­often took the lead coordinating parties and graduations the restaurants catered. She still made time for family and friends, though, and “was one of those people who always have to be doing something for somebody,” her grandmother said. That was the case when ­Lillian Campbell needed assistance after an operation a few years ago. She was living alone, after her husband died in 2005. 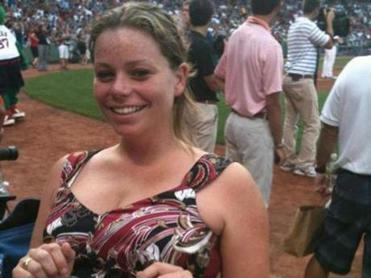 Born in Somerville, Krystle Campbell grew up in Medford, where her parents had purchased a house, her grandmother said. Her father was a plumber, but illness has curtailed his work in recent years, Lillian Campbell said. Krystle’s mother had worked in food services for many years at Harvard Business School, according to a spokesman there. While at Medford High School, Krystle began working as a waitress, her grandmother said. After Krystle Campbell graduated from high school in 2001, she went to college for a couple of years. On her Facebook profile, she said she had attended the University of Massachusetts Boston. Her grandmother said Krystle left college and began working at the Summer Shack. In an online LinkedIn profile, Krystle Campbell listed her Jasper White’s Summer Shack job ­titles as general manager at the Hingham location and catering manager. Lillian Campbell said Krystle moved to Arlington about a year ago, and recently switched jobs to work at Jimmy’s Steer House in Arlington. On May 3, Krystle would have turned 30, her grandmother said. “We were getting ready to celebrate,” she said. Lillian Campbell said her granddaughter’s absence will be particularly pronounced during family gatherings to ­celebrate birthdays and holidays. In addition to her mother, father, and grandmother, Krystle Campbell leaves her brother, William Campbell III of Medford. Medford Mayor Michael J. McGlynn said the city and the Medford Clergy Association will host a prayer vigil at 6 p.m. Wednesday in Grace Episcopal Church for those killed and injured in the Marathon explosions. Dozens of reporters and camera operators had gathered in front of the Campbell family’s house on Park Street Tuesday when Patricia Campbell stepped out onto the porch. To her left, her son, William, draped an arm over her shoulders to comfort her. To her right, her brother John Reilly stood vigil. She tried to read from a piece of paper. In an interview by phone earlier Tuesday, Krystle’s grandmother spoke with similar emotion. Bryan Marquard can be reached at bmarquard@globe.com. Globe correspondent Jarret Bencks contributed to this report.